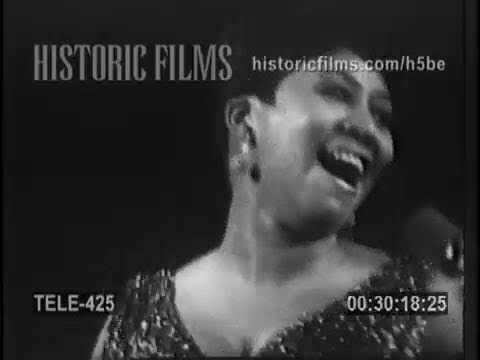 Photo: Historic Films Archive Aretha's live performance of "Respect" in 1967 at the Warwick Memorial Theatre. "We have lost the matriarch and rock of our family. The love she had for her children, grandchildren, nieces, nephews, and cousins knew no bounds," statement by Aretha Franklin's publicist Gwendolyn Quinn read. Franklin's death follows several years of thoroughly concealed medical issues, which led to regular show cancellations and extended absences from the public eye. In February of 2017, the Queen of Soul told a Detroit TV station that she was finally retiring from music that year. The Queen however didn't relinquish her throne. Despite her failing health in recent years, Franklin made one last performance in November for the Elton John AIDS Foundation in New York, where noticeable changes in her appearance caused concern about her well-being. A self-taught prodigy Aretha Franklin was blessed with arguably the greatest singing voice in the history - and with it, the almost superhuman ability to make songs better than they were originally conceived. Her 60-plus-year career was one of crossed musical, racial and gender boundaries and broken records. She held the record for the most-charted female artist in Billboard history for nearly 40 years, with 73 titles in the Hot 100. Her first Hot 100 song, “Won’t Be Long,” debuted when Franklin was just 18 years old in 1961. Franklin also racked up 18 Grammy Awards out of 44 nominations over the course of her career, and in 1987, two decades after her first No. 1 "Respect" she became the first woman to be inducted into the Rock & Roll Hall of Fame. Seven years later, at age 52, she was also the youngest recipient of a Kennedy Center Honor. In 2005 President George W. Bush awarded her the Presidential Medal of Freedom. And while Franklin was known mainly for her work as a soul singer, her astonishing, profound, powerful, gigantic voice - the voice that the state of Michigan even declared to be a natural resource - could do almost anything. Franklin’s singing, soaked in feeling and executed with virtuoso skill, moved seamlessly among all kind of styles: gospel, soul, pop, blues, R&B, jazz, even opera. When Luciano Pavarotti bailed on his 1998 Grammys performance at the last minute, for example, Franklin subbed in and sang “Nessun Dorma” for him, earning herself 20 minutes’ notice. But just as important is Franklin's broader social impact: She embodied American black culture, emphatically and without apology, and through sheer force of talent, thrust it onto the global stage. She revolutionised black music and the way it was absorbed and perceived like no-one ever did before, creating a world unimaginable in the US’s most politically volatile times. With her immense power as a singer and a person Franklin transformed a minor 1965 hit by Otis Redding into a statement carved into the Mount Rushmore of American music which shaped and deepened a collective consciousness anchored in a yearning for freedom. As Recording Academy said after news about Aretha Franklin's death broke, "her distinctive sound, unforgettable recordings, and giving spirit will continue to be celebrated worldwide." Franklin's influence, so vast and indelible and her sprawling legacy would never be forgotten. She would be always remembered. A hometown girl. An on-stage diva. A freedom fighter. A Queen.